The tool is primary operated by text (dialog) menu. --help Print help page and exit with 0. -m     Run fluxion in manual mode instead of auto mode. -k     Kill wireless connection if it is connected. 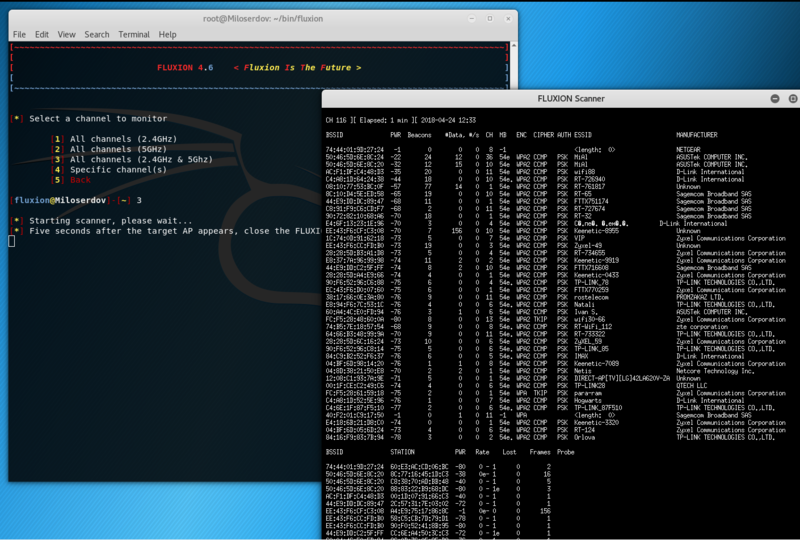 -d     Run fluxion in debug mode. 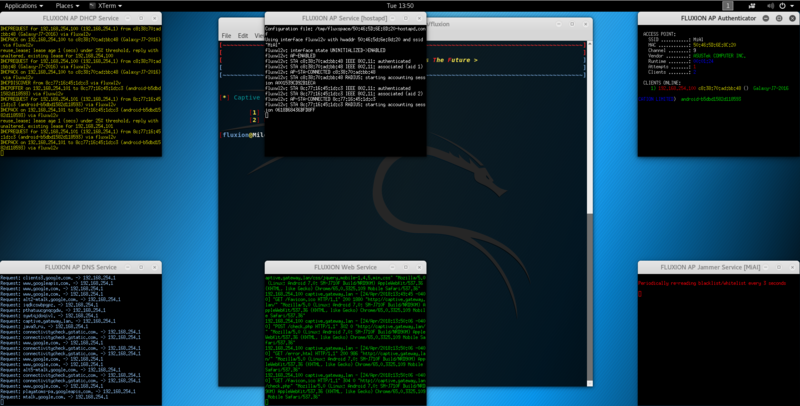 -x     Try to run fluxion with xterm terminals instead of tmux. 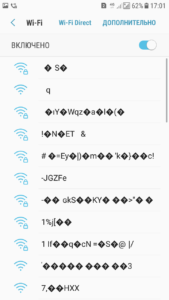 Select the target network based on the ESSID. Indicate the channel(s) to listen to. Define the windows size. Bigger ratio ->  smaller  window  size. Define a certain jamming interface. Define a certain access point interface. 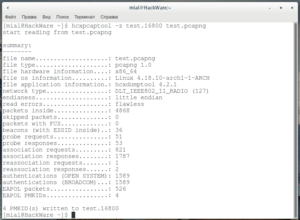 The system wide tmp directory. Folder where handshakes and passwords are stored in. 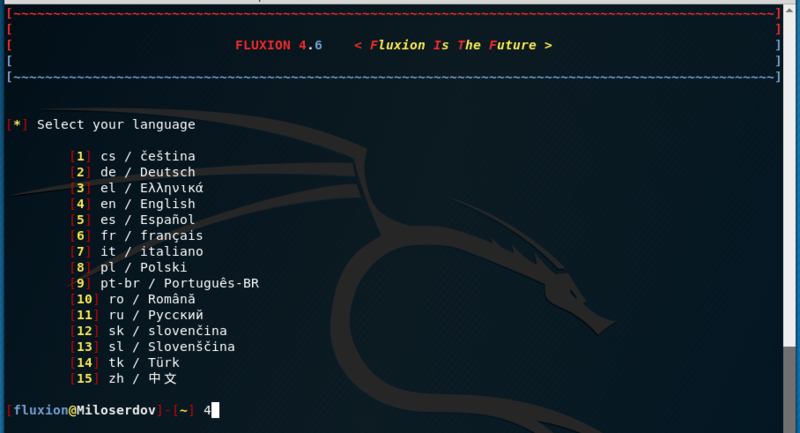 Automatically run fluxion in auto mode if exported. 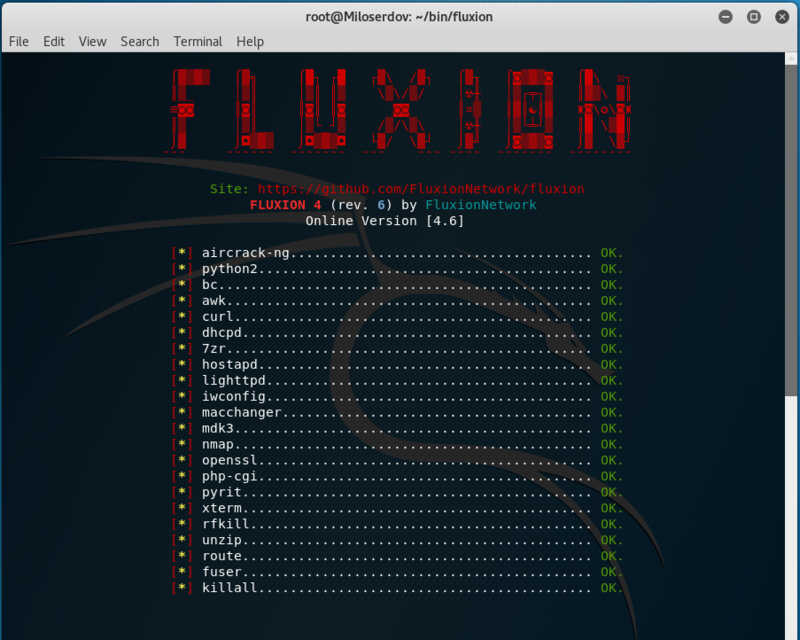 Automatically run fluxion in debug mode if exported. Automatically kill any interfering process(es). A Linux-based operating system. We recommend Kali Linux 2 or Kali rolling. Kali 2 & rolling support the latest aircrack-ng versions. 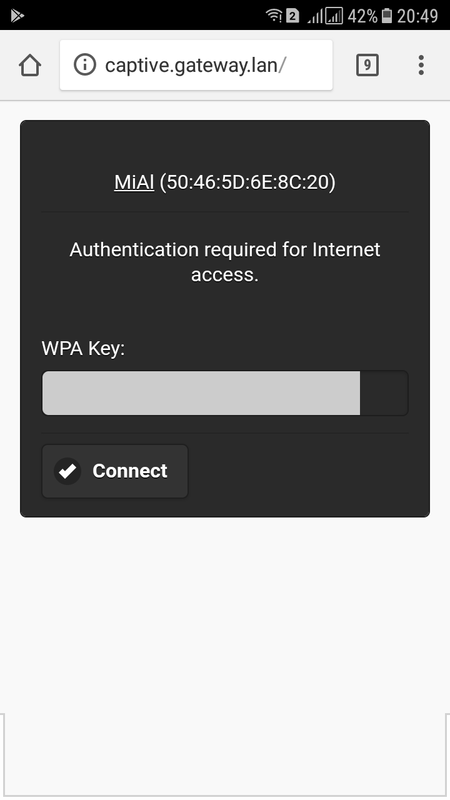 An external wifi adapter is recommended. and follow the instructions of the program. The program is preinstalled in BlackArch.